Nordoff Robbins is delighted to announce two new winners of O2 Silver Clef Awards – James Bay and Jake Bugg. 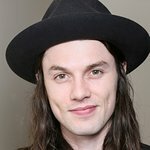 Championed by everyone from Taylor Swift to the Rolling Stones, 24-year-old British singer-songwriter James Bay is one of the most-buzzed-about new artists of the year. His debut album Chaos and the Calm went to number one in the UK and number 15 in the US, he received the Brit Awards Critics Choice award earlier this year and in recognition of his emerging fame Nordoff Robbins has crowned James Bay Jack Daniel’s Best Newcomer. Nordoff Robbins have already announced five other winners at the O2 Silver Clef Awards 2015. They are Rita Ora, who will win Best Female, Mark Ronson, American Express Innovation Award, Primal Scream, Investec Icon Award, Iron Maiden, O2 Silver Clef Award and Il Divo who will be awarded the PPL Classical Award. More winners will be announced soon!